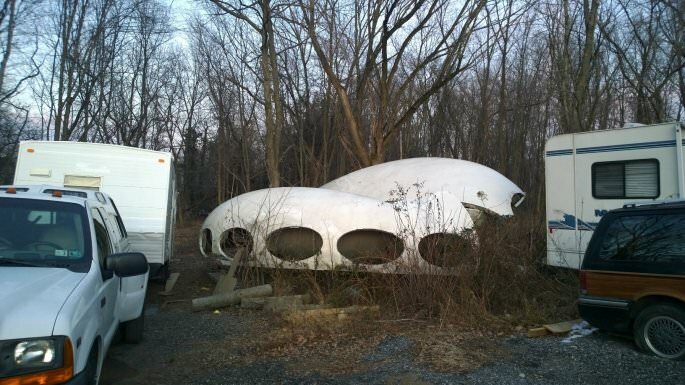 My stepson was visiting his father last weekend and was able to track down the Futuro House (or perhaps remains of the Futuro House) in Media, PA. These photos are his, but he gave me permission to post them. It is a shame to see it in such bad condition, but at least he verified its existence. 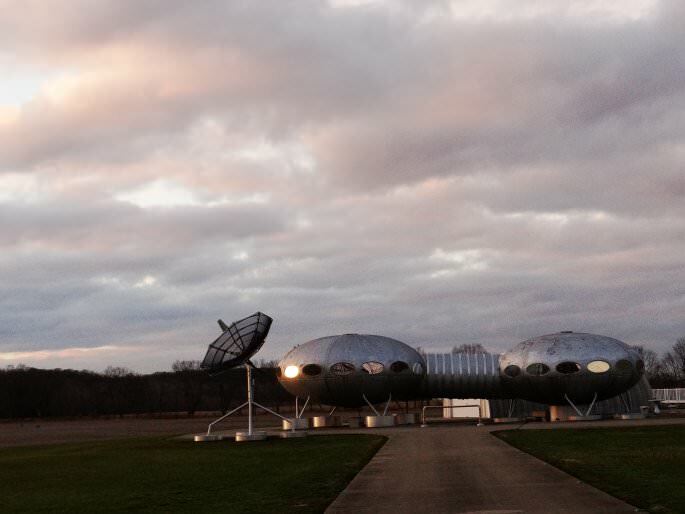 On 1/1/15, we drove to yet another Futuro House, this one in Danvers, IL. 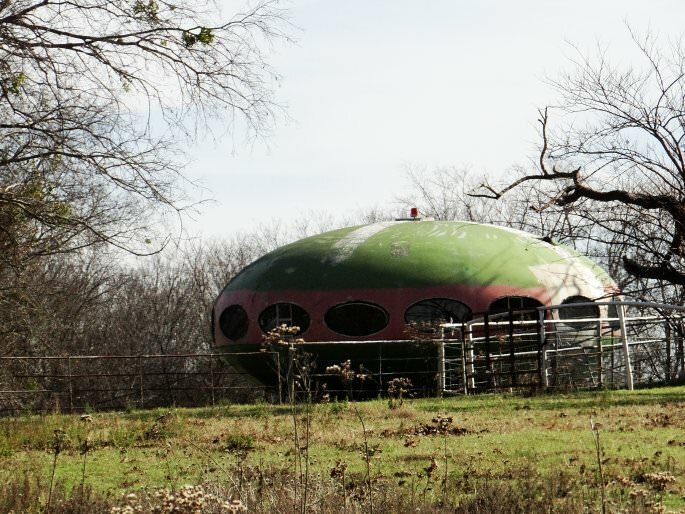 This particular Futuro House is on private property, and it is very clear that you are not allowed to drive up to the site. 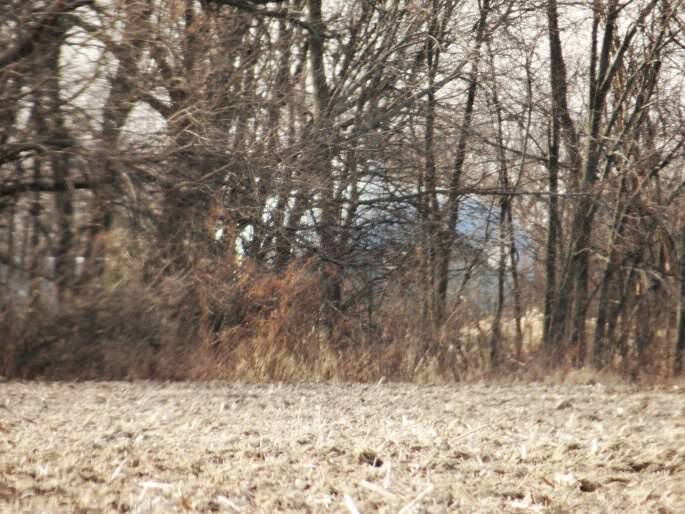 However, it is visible from a power line access road, marked on the map, but likely only in the winter when there are no leaves on the trees. Sorry for the poor quality photo, but it was the best I could do. 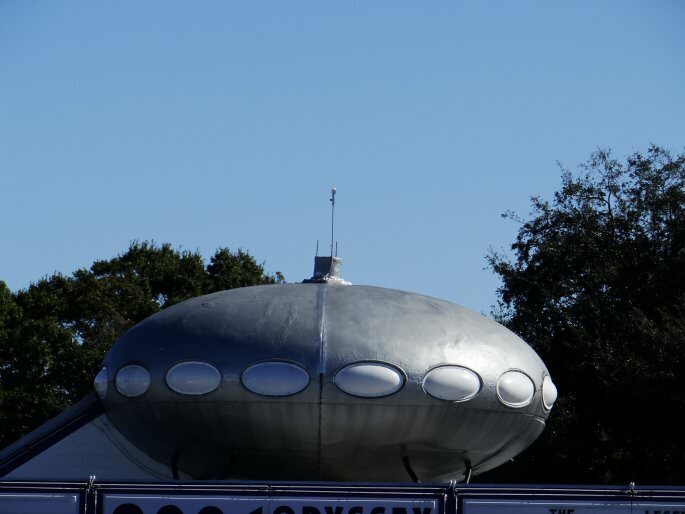 Also, I would like to acknowledge Sartenada, who has a wealth of information on the Futuro Houses and has commented several times on this blog. Thank you!!! Thank you all for reading this post! 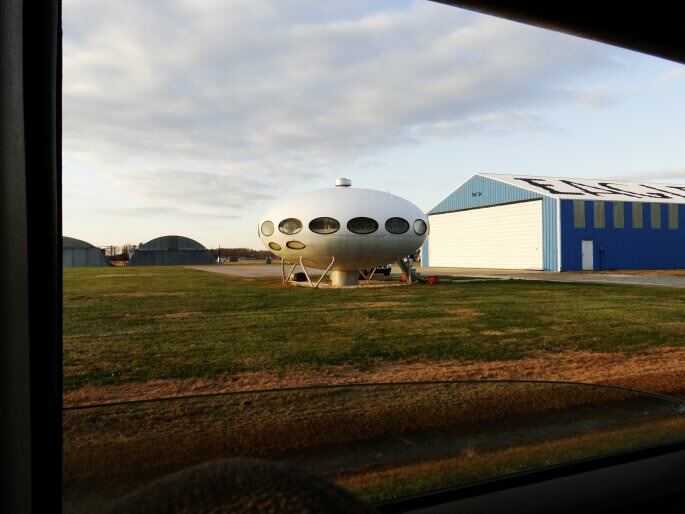 We saw another Futuro House just outside of Carlisle, OH, on 12/30/14. This one was more like two Futuro Houses connected in the middle by a long tube. I’m not sure if this was an original design, or whether the owner bought two and modified them for his needs. My son was telling me about Futuro Houses and we decided to find a few of them on a cross-country trip from our home in New Mexico to the east coast. We found two in Texas and two in Delaware. On 12/16/14, our first stop was Rockwall, TX. 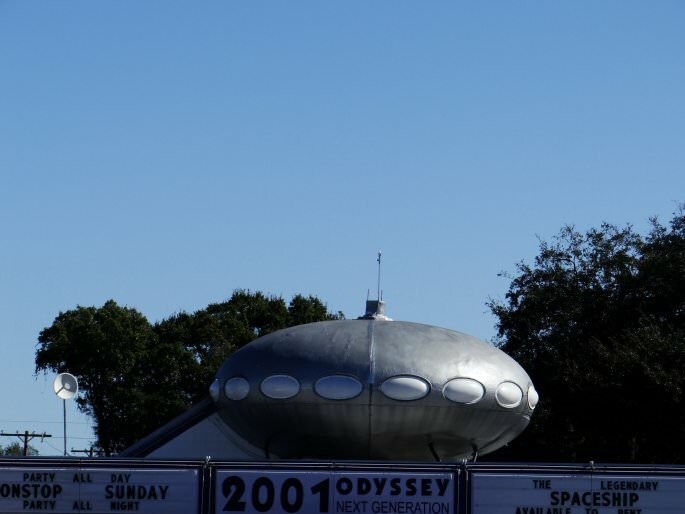 Here, the Futuro House was on private land and appeared to be in use as a shed. I snapped a quick photo. 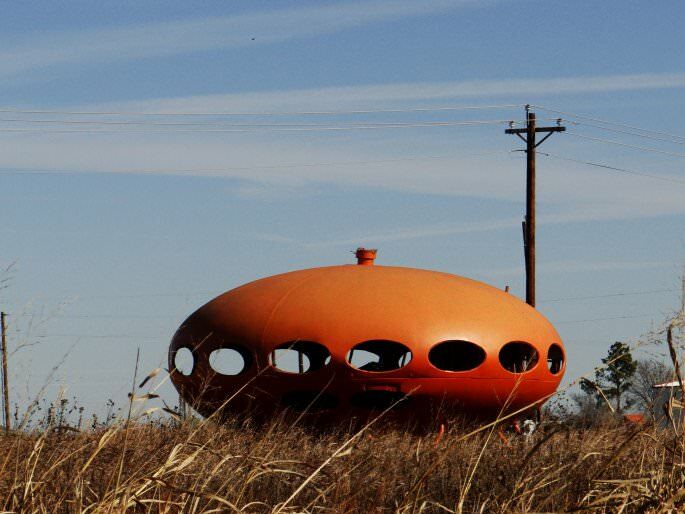 We continued down some back roads and ended up at the second Futuro house near Royce City, TX. This one was in a little worse shape. it was heavily vandalized and had no windows left, unfortunately. The second photo shows the stairwell into the Futuro house. 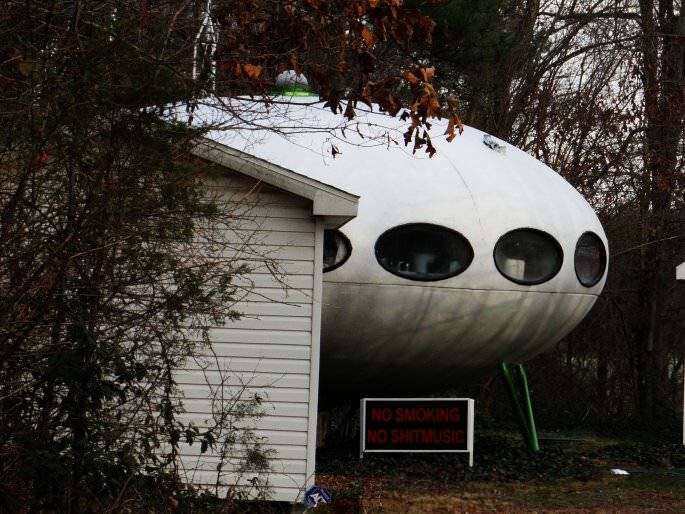 A few days later (12/19/14), we were in Delaware, searching for a few more of these Futuro houses. Our first find was one in Houston, DE. It was on private land, and, judging by the sign, the owner was not up for much conversation. A little while later, we found one in Milton, DE. This one appeared to be in use as a control tower for a very small airport, and there was at least one person moving about in it when I took this photo. 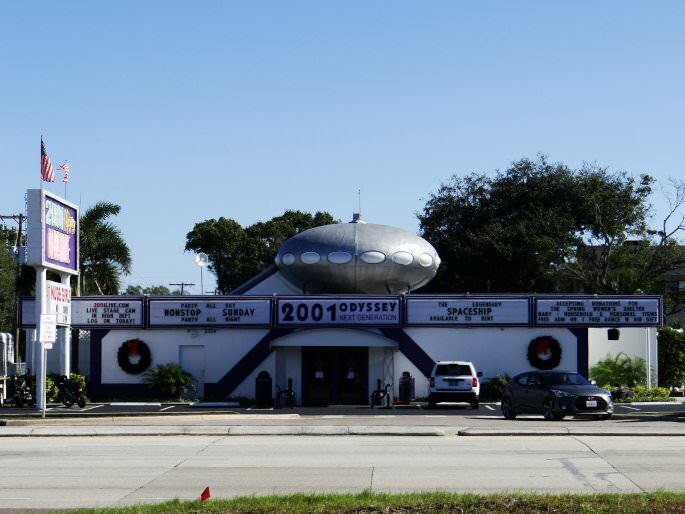 I will post more as I find more Futuro houses. We’ve found four of ninety six, so we have more to find! Also, there is a kickstarter campaign to start rebuilding these. I think it’d be a fun thing to have! 1. 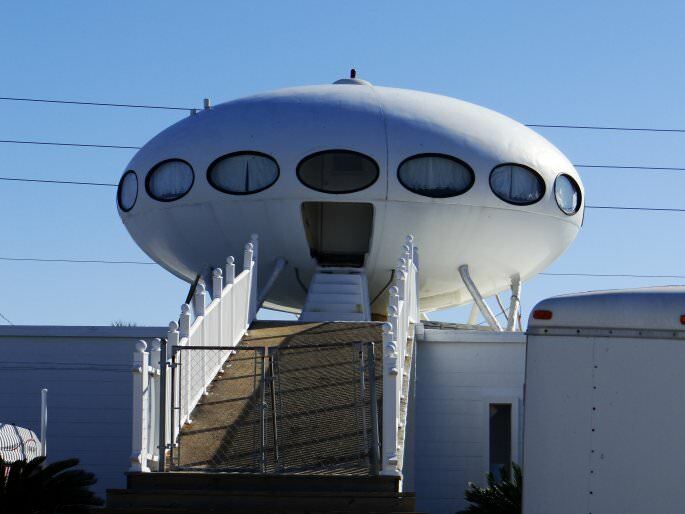 The Futuro House .com, accessed 12/21/14. 3. 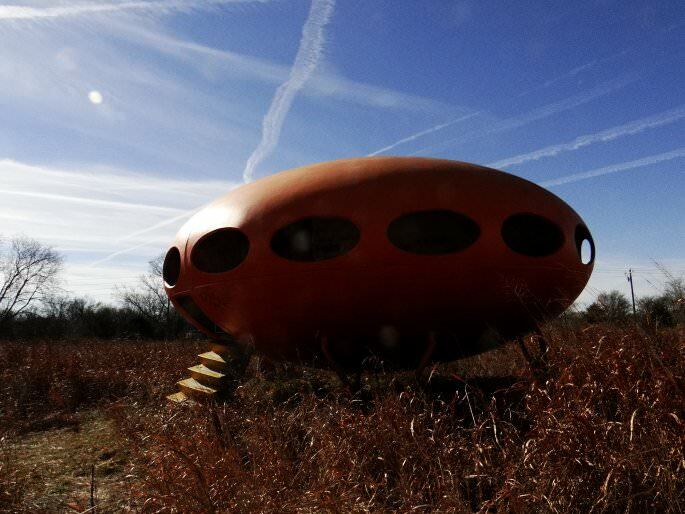 70’s Futuro House, accessed 12/21/14. 4. 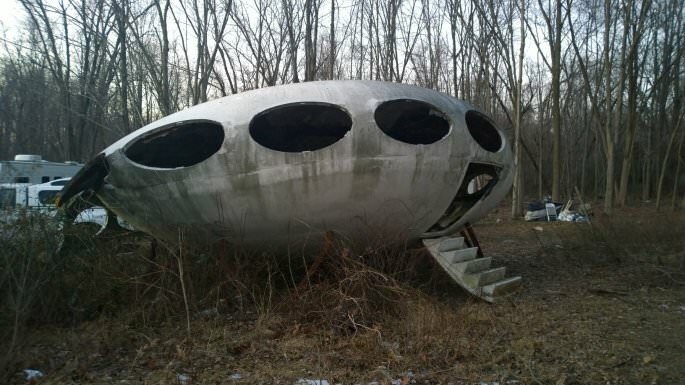 Futuro House .net, accessed 12/21/14.